You treat your skin like royalty with lengthy routines and high-quality products, but what about your hair? It's true that strands are made of dead skin cells, but if you want the same kind of luscious locks models swish around in shampoo commercials, you have to take care of your freshly coloured tresses like you would a freshly spa-treated complexion. The only catch is, well, it isn't easy. "Environmental stressors like the sun, beach, pools, well water, hair dryers, hot tools, wind, humidity, dry heat, medications, skin products, and more all attack the hair colour by making it flat, dull, dirty, and they all help remove colour molecules," senior colourist at Oscar Blandi Salon, Miguel Angarita told INSIDER. So basically everything you'll ever come in contact with has the potential to damage your new 'do. Going off Angarita's warning alone, it sounds like your dyed hair is basically doomed from the start, right? But don't let this deter you from experimenting with colour. Just be aware of the mistakes everyone with dyed hair makes, and correct them. Otherwise, you'll be making an appointment for a touch up much sooner than you expected. Tight ponytail elastics are breaking your strands. Those black bands around your wrists do more than keep your hair out of your face. They prevent tresses from growing long and strong. "Using harsh elastic hair ties," explained Gary Baker, the creative director of UNITE Hair. "breaks the hair cuticle in some degree which leads the colour to fade or distort from the original result." Teasing raises volume, but lowers shine. Teasing all, or part of, your tresses seems to always be in style, but Baker warns combing in reverse can cause a lot of breakage. "When you back-brush, you are creating a different texture to the hair shaft which absorbs light, instead of reflects it, leaving your hair less shiny." Overlapping colours is a major offence. 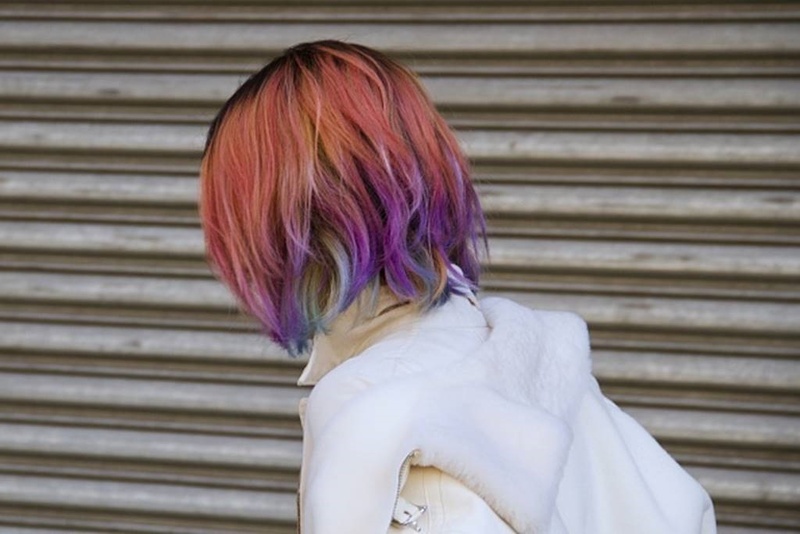 Dye isn't so great for your hair's health to begin with, but adding highlights on top of artificial hues, or layering on another colour too soon can cause some serious damage. 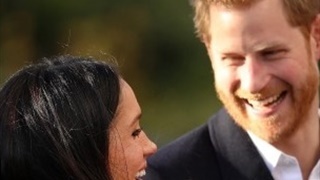 Baker explained that over-lightening, in general, leads to porous strands that eventually struggle to hold colour, but on dark hair especially, light dyes create oxidation which, he said, causes the hair to actually get darker than is required. Hot tools lead the way to hair trauma. Your hair cannot take the heat, Michelle Cleveland told INSIDER, so keep exposure to high shower temps and hot styling tools to a minimum. Hot showers might feel like a sigh of relief after a stressful day, but you're only adding stress to your strands by letting the heat soak in. And because your hair is most vulnerable when it's wet, the celebrity stylist and owner of Hair Addict Salon said, washing your tresses with cooler temps will keep hair cuticles from raising, thus keeping the colour intact. As for your straighteners and curling irons, setting your hot tools at too high temperatures can and will fade your colour quickly. Keep your style and colour, too, by setting your appliances to 350 degrees max. You're using styling products that contain alcohol. You know how there are some questionable food items out there that you probably wouldn't add to your meals? Well, there are some equally as questionable ingredients and chemicals floating around name-brand styling products that really shouldn't go in your hair, like alcohols and other harmful chemicals (these are the ones you probably can't pronounce). "You need to pay special attention to the ingredients of your hair products after you colour your hair" celebrity hair stylist, Andrew Fitzsimons warned INSIDER. "For instance, products heavy in alcohol (like most hairsprays!) can be really drying to the strands, which can cause breakage and colour fade." Your conditioner is all wrong. Once you know what ingredients to watch out for, it's important that you ask your stylist what types of products they recommend for your new do. 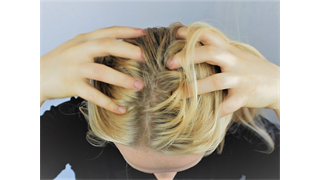 Processed hair can become dry and brittle, so to work through this state, Fitzsimmons said finding the right conditioner is key. "You'll need to work extra hard to put moisture back into the strands to avoid colour fade and breakage. Use a conditioner that specially formulated for colour-treated hair or, better yet, get a tinted conditioner from your stylist that will help preserve your colour longer." Towel drying might feel effective after you've scrunched and scrubbed until your tresses have been begrudgingly drained, but Fitzsimons said this kind of aggression actually causes fading. "Scrubbing your hair dry with a towel can actually cause colour fade (and your ends to look dry - no one wants that!). Instead, gently blot your hair and let as much of it air dry as you can." You aren't using any UV-protection. Most of us associate sunlight with summertime, but that massive, fiery star sits pretty in the sky year-round, meaning UV rays are always a factor, even behind grey clouds. So just as sunscreen or products with SPF should be a vital part of your everyday skin routine, UV-protection is necessary for every part of your body, including your hair. Did you know there's such thing as washing your hair too much? How often you shampoo will ultimately depend on your lifestyle, like how active you are, your hair composition, etc., but co-founder of IGK Hair Care, Leo Izquierdo said overdoing it will cause your freshly coloured tresses to fade and dull pretty quickly. You didn't wait long enough between colouring and shampooing. Even if you've gotten into the habit of washing your hair every single day, resist the urge to shampoo, rinse, and repeat until at least 24 to 72 hours after getting your hair coloured. Otherwise, the dye will dull faster. "You should always wait at least 24-72 hours after getting your hair coloured before washing it," co-founder and CEO of Function of Beauty, Hien Nguyen told INSIDER. "Make sure to use a colour-safe shampoo without sulfates. Use a leave-in treatment to protect hair from further damage, and always use a conditioner specially made for color-treated hair." If you're practically a fish out of water, don't be surprised if your hair starts feeling dry and looking green. "Chlorine can leave mineral deposits that will tint highlights with a cool, green tone, so if you know you're going under, dampen hair with a leave-in spray to serve as a protective barrier," MariLynne Cosmillo of Cherry Blow Dry Bar said. "Avoid washing hair every day if your colour is a single process or tinted gloss, as it can make the colour look faded faster."